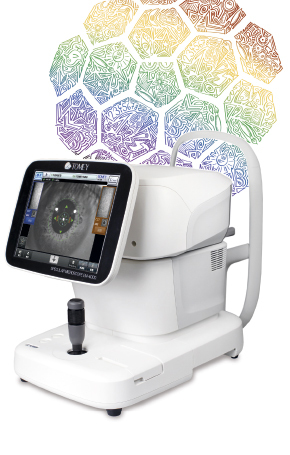 What: A rotating Scheimpflug camera system for corneal and anterior segment analysis. 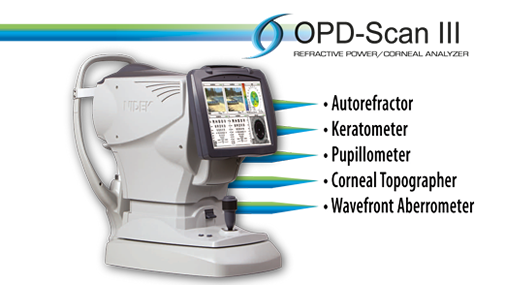 It measures topography and elevation of the anterior and posterior cornea. 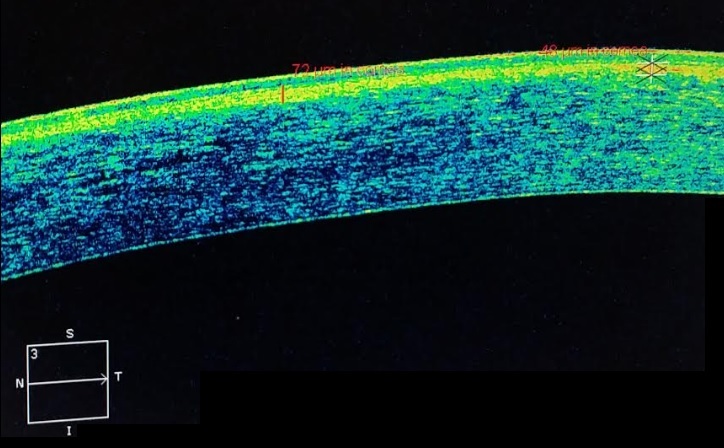 How: A camera at an angle captures a slit-beam section of the cornea and lens. In 2 seconds, it captures 25,000 elevation points. Why: Advanced software can calculate the true net power of the cornea after LASIK or capture corneal curvative before and after crosslinking. It can also detect corneal abnormalities, for example when screening a refractive surgery candidate. What: Refractive workstation which includes the following: corneal topographer, autorefractor, wavefront refractor, wavefront analyzer, internal optical path difference analyzer (OPD), and light/dark pupillometer. How: Uses 19 placido rings (concentric rings) to acquires 11,880 data points in order to map the corneal topography. Why: Advanced software can calculate the effective central corneal power after LASIK, analyze higher-order aberrations in both the entire optical system and broken down by corneal aberations and lens aberrations. What: Captures images of the endothelium, or inner layer of the cornea, and provides an automated analysis of cell density and variation. How: Captures a 0.25 x 0.54 mm area with a 190 optical magnification. Why: Direct imaging can not only confirm a diagnosis of Fuch's Dystrophy but allow a physician to track cell density over time. It can also assess graft health after corneal transplantation. What: Enables visualization of structures posterior to the iris such as the ciliary body, zonules and the peripheral lens. How: Uses a 50-MHz ultrasound scan to produce an ultrasound image with a 40 µm resolution. Why: Can help to diagnose causes of low eye pressure, visualize malpositioned intraocular lenses, and differentiate between and iris and ciliary body cysts from a potential cancerous melanoma. What: Generates very high resolution cross-sectional scans of corneal and anterior segment tissue. How: Uses 1310 nm light to capture 8 frames per second with a 15 µm resolution. Why: Can gauge the depth of corneal scars for surgical planning, evaluate angle structures and iris structures which are difficult to view in cross-section at the slit lamp.